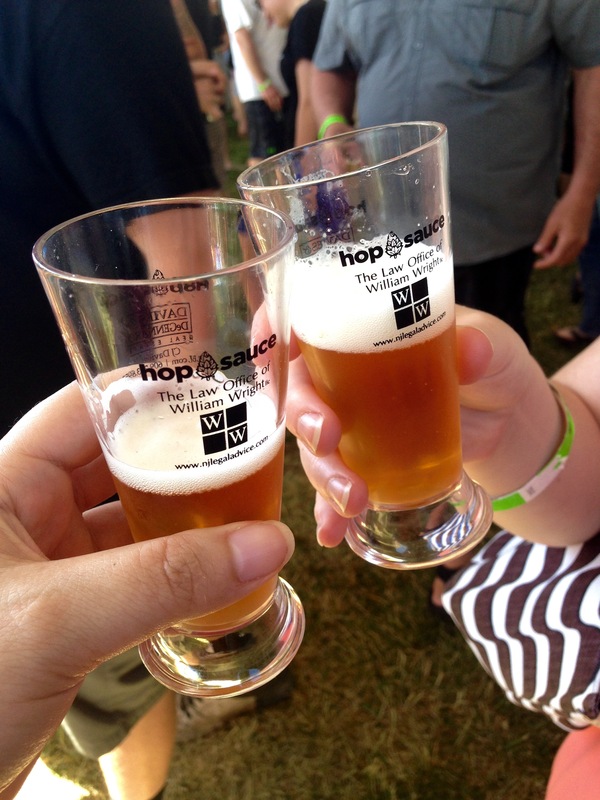 This past weekend I was able to attend the Long Beach Island, NJ 2nd Annual Hop Sauce Festival, something that I had been looking forward to since last year when I found out about the 1st Annual Hop Sauce Festival the day after it occurred. Needless to say, I was seriously bummed I had missed it because what could be better than a Hot Sauce & Craft Beer festival? After waiting almost a year, I have to say the festival definitely lived up to my expectations. They took over the grassy lawn in Bay Village (if you’re familiar with LBI’s Clam Chowder Festival it’s the same location) and set up big tents. On one side they had the beer tents, the middle had two rows of hot sauce vendors, and the far side had food from local restaurants that you could buy. The whole thing was tied together by a large stage where bands played throughout the day. 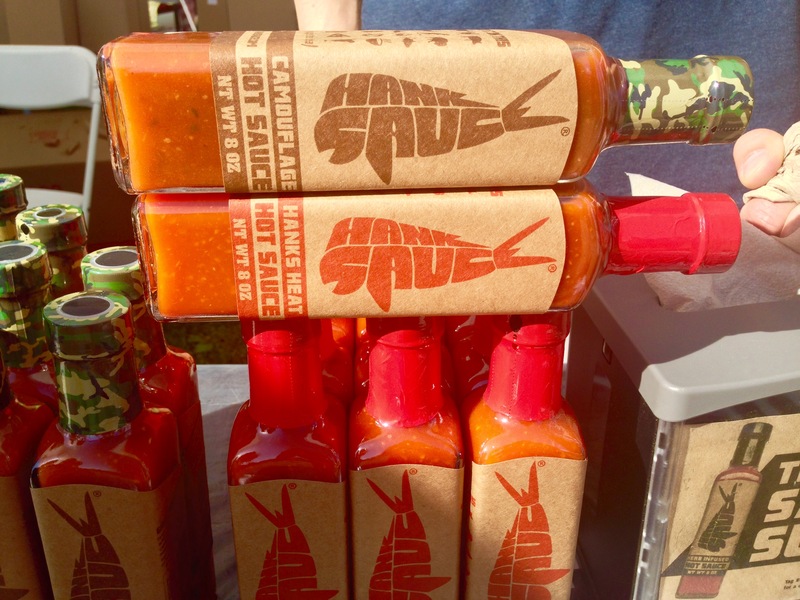 One of the the great things about the festival, is that you can buy a hot sauce only ticket ($10) or a hot sauce & beer ticket ($40). This works out great if you have friends who aren’t beer drinkers but are hot sauce lovers. One thing to note though, is if you’re buying your tickets online, they physically mail them to you and so be sure to order them early. You can also buy tickets at Spice it Up in Bay Village before the event or at the gate. A few other things to note that stood out were that they had water bottle refill stations (which was awesome), you could bring a blanket to sit on the lawn and watch the bands, you were allowed to go in and out of the festival as much as you wanted as long as you kept on your wrist band, and the free LBI shuttle was running which made transportation to and from the event much less complicated! 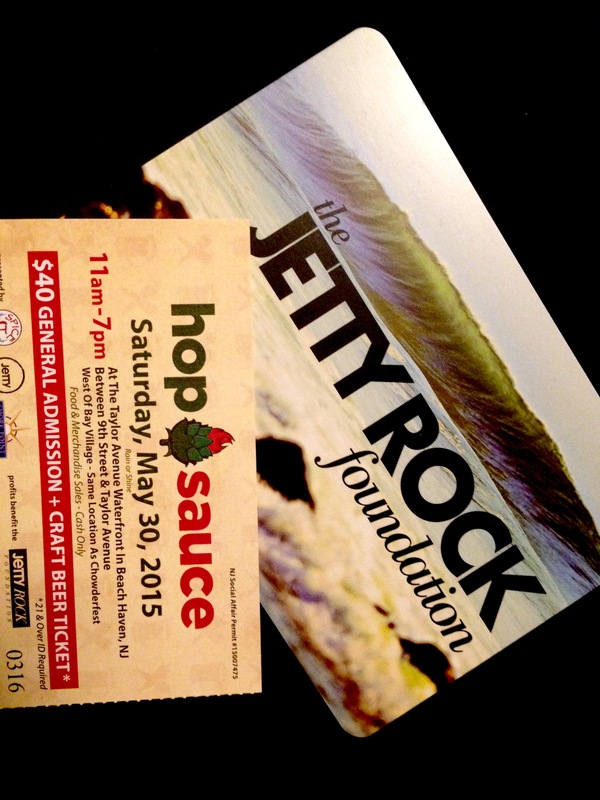 Plus, as if this all wasn’t enough to convince you to check out the 3rd Annual Hop Sauce Festival next year, a portion of the proceeds of the event goes to the Jetty Rock Foundation. After arriving, we decided to check out the beer tent first. There were over 15 different breweries represented including larger more well known breweries like Brooklyn Brewery and Magic Hat as well as smaller local breweries like Ship Bottom Brewing and Forgotten Boardwalk Brewery. I’m happy to report, that even though IPAs are very in this year (and the past couple of years for that matter), they only made up about 25% of the beers represented which is a huge plus for all the non-IPA drinkers out there like me. After trying a large number of the beers offered, I must say that the Funnel Cake Ale, a cream ale loaded with vanilla by Forgotten Boardwalk, was my favorite. It tasted surprisingly similar to cream soda and was super refreshing. I also imagine it would make a fantastic ice cream float! Once we had tried a few beers, it was time to tackle the hot sauce. With over 15 different companies each with at least two, but typically 5-6 offerings there was definitely a hot sauce for anyone’s tastes. One of the festival’s sponsors was Kettle Brand and their Sea Salt Chips were used by most booths for tastings. While I’ve never thought to eat hot sauce on potato chips, the combination was great! After tasting our way through the hot sauce booths as well as a spicy beef jerky booth and pickle booth, I decided that World Famous Hot Sauce’s LBI Love Potion was my favorite. 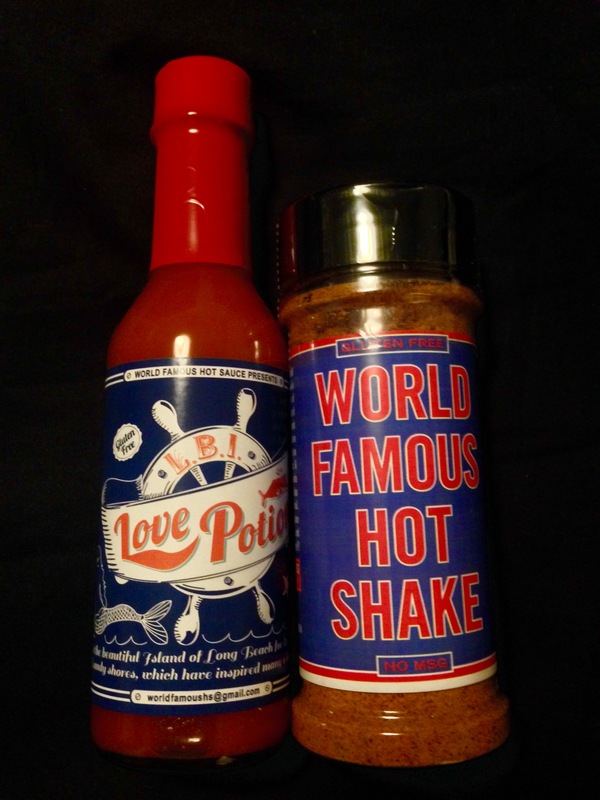 I picked up a bottle of not only their hot sauce but also their Hot Shake which tastes like a combination of their hot sauce and Old Bay. Overall, the festival was a great way to enjoy the outdoors and music along with some great brews and hot sauce. I’ll definitely be going again next year! Be sure to keep an eye out on The Daily Soiree’s Facebook next spring for more information about date of the 3rd Annual Hop Sauce Festival!